I'm preparing the first beta release of LapTimer v19 (iOS) for testing. Most of the functionality listed below is completed already, some items (marked with [tbd]) are incomplete and will evolve during beta testing. When participating, I want you to provide feedback too. You need to be an existing LapTimer user - any edition. You need an iPhone4S or later, or an iPad running iOS7.1 or later. I need your email address and any confirmation you are an existing LapTimer user. The later can be done by either using the Contact button available in LapTimer's startup screen (gray button -> Contact), or by forwarding the receipt you have received from Apple after purchase. 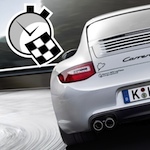 Once you have submitted this information to Harry@gps-laptimer.de, please give some time until you get a message from iTunes Store with title "TestFlight: You're invited to test Harry's LapTimer Petrolhead 19.0.0". This mail will include instructions how to install the app using TestFlight. Last edited by totoshe on Tue Mar 10, 2015 5:14 pm, edited 1 time in total. Email sent and instructions received. Does the beta version overwrite the actual version installed or can use both? (not at the same time, obviously). I have a trackday in april with transponders included and would be great to compare timings of both versions with the transponder time-sheet. DaniFW wrote: Does the beta version overwrite the actual version installed or can use both? (not at the same time, obviously). It depends. Actually there are three LapTimer base editions. These are the editions that appear in AppStore. All of these base editions can be installed at the same time. As all share the same short name and icon, they will look the same. Oddly it is a little more complicated. Any base edition can be enhance by upgrades. Sample: you can buy Petrolhead and upgrade to GrandPrix later (from LapTimer's Add-ons). This app will have the GP functionality but is still a Petrolhead base edition. This in turn means one can install a Petrolhead plus GP upgrade plus a GP base edition side by side. The beta is a Petrolhead base edition plus a GP upgrade. This mean in case you originally bought Rookie or GP, you can install the beta in addition to v18.3.x In case you bought Petrolhead initially, it will be replaced by the beta. When participating in the beta, please always run a full backup to .hlptrl before installing the first time. Does v19 let you do GoPro video without using the internal iPhone video? Thanks! I couldn't tell from the release notes, heh. Yes, both for v19 iOS and Android (MultiCam for external action cams). Since iOS8 there are issues for the MultiCam connection to the smartphone "action cam", I have that on my list to fix until release. Could you give a more detailed explanation of the below statement. I run an iPhone 6 (Master - Laptimer Grand Prix) for the front view and an iphone 5 (Laptimer MultiCam) for the rear view at the track. I have never been able to successfully transfer videos from the slave to master using iCloud . Will the feature below automatically transfer the MultiCAM footage to my iPhone 6 (Master). My ultimate goal would be a way of transferring all video and Metadata (from both phones) over to my iPad where I would then do all my overlay processing and storage/viewing of videos. "For easy video overlaying, footage from external cams is transferred automatically between action cam and LapTimer now [GrandPrix] [tbd]"